Emails can be directed to me through Skeptifit.com. By RSS feed by clicking on the RSS button to the left and copying the URL from the address bar into your smartphone RSS app or web RSS program. By email – simply enter your email into the text box on the left hand side of the screen and you’ll receive an update whenever Skeptifit is updated. By following Skeptifit on Twitter. 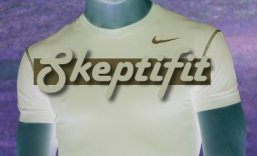 All updates to Skeptifit are automatically posted through to Twitter.